Last evening (11/19/13) at the VFW facility along the beach in North Kihei, nearly a hundred members and guests enjoyed a mild fall evening of camaraderie, fellowship and community spirit to close out your Association’s activities for 2013. Opening with a traditional Hawaiian blessing by returning Director Daniel Kanehele, the group soon descended on the KCA business member Three’s Bar and Grill mobile restaurant to enjoy a variety of tasty dishes for al fresco dining under the stars. Andrew Beerer ,Linda Berry, Michael Di Bella, Jeanne Duberstein, Harry Hecht, Daniel Kanahele, Alana Kay, Mike Moran, Adele Rugg, Patricia Stillwell, Greg Stratton, Mary Trotto and Randy Wagner. To close out the party Moran announced the winner of the KCA 2013 Wiliwilli Warrior Award for outstanding achievement in the South Maui Community this year. The winner was returning Director Andrew Beerer, who achieved the culmination of his long campaign as President of Kihei High-school Action Team (KHAT) in moving the DOE Kihei High School forward so it’s now fully funded via the HI State Legislature, with an announced opening in 2018. Congratulations Andrew.! As usual, there is no meeting in December. The first KCA General membership meeting in 2014, open to the public, is set for January 21, 2014 at 6:30 PM at the Kihei Charter Middle School at 41 E. Lipoa. The topic is Coastal Erosion in South Maui. 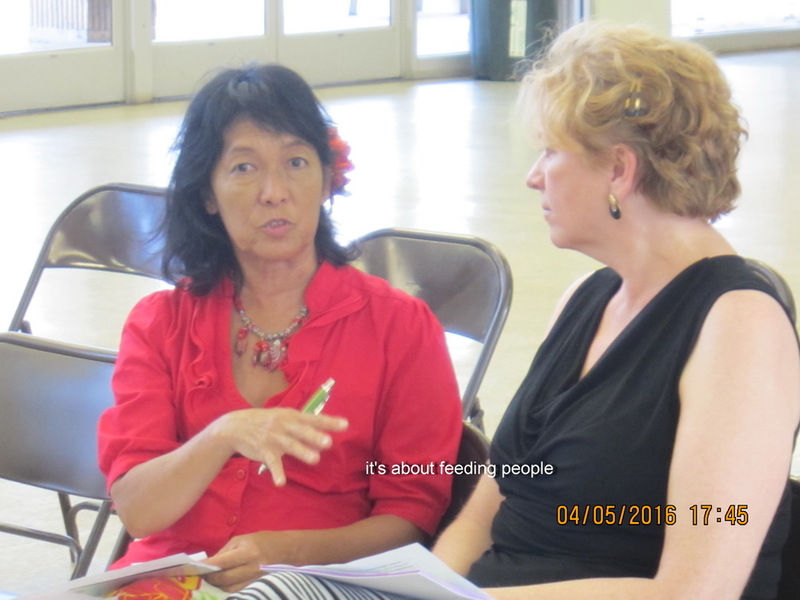 This meeting will kick off the 2014 Maui Food Bank campaign, crucial as donations traditionally drop after the holidays, but hunger for kekei and kauna alike does not ebb. Your Association wishes all a happy spirited “holiday season” beginning with a day of mahalo next week to a hau’oli makahiki hou. Selected Vision statement: While the membership did choose a Vision Statement, there were numerous questions and comments expressing some dissatisfaction with the verbiage. Therefore the BOD will re-examine this topic at the next board meeting in December. NextWhat is going on at this N-S Collector Road site?